And so, rested and recuperated we decided to continue on our travels. Weather looked good....and we duly set sail circa 10.55 hrs. 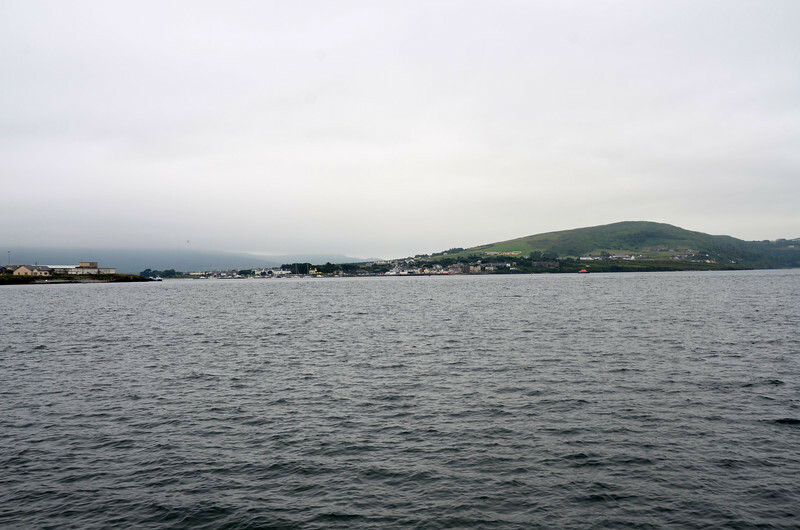 Windguru forecast for Bolus Head at 06.00hrs on Sunday 14th July. 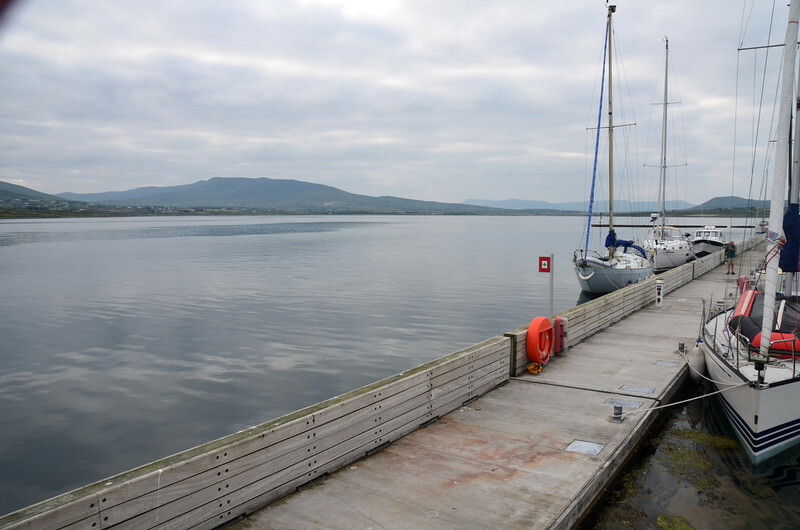 Although not as good as the very low winds that we enjoyed for our three days of passages from Portumna to Cahersiveen it looked 'doable'! And I was particularly taken by the the direction of both wind and wave. 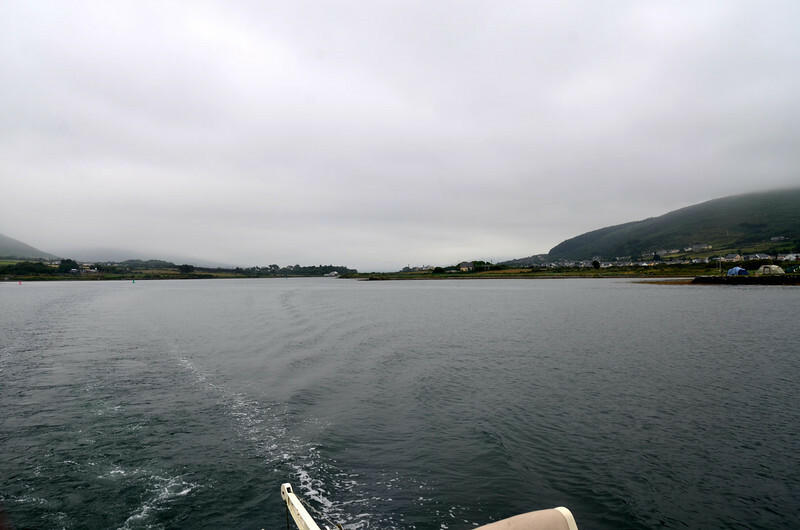 And we would have an ebb tide as we departed Cahersiveen and a rising tide as we entered Bantry Bay. Seemed good all the way....well, that was the theory! 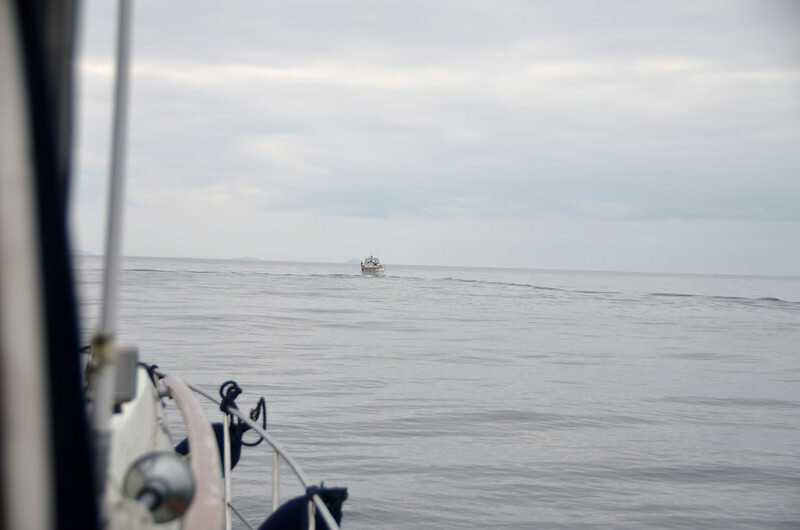 A yacht had departed some minutes before us. She can be seen ahead of us just passing the red marker. 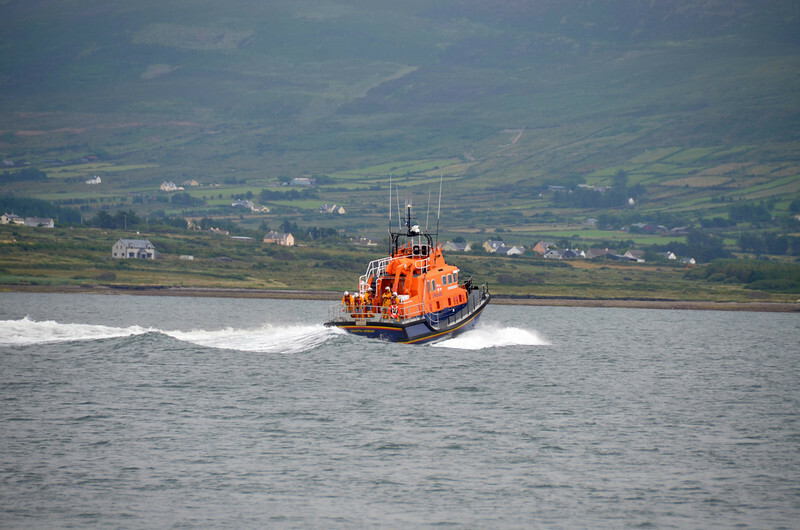 Just after 11.00 am as we approach Knightstown on our way out to Dingle Bay. 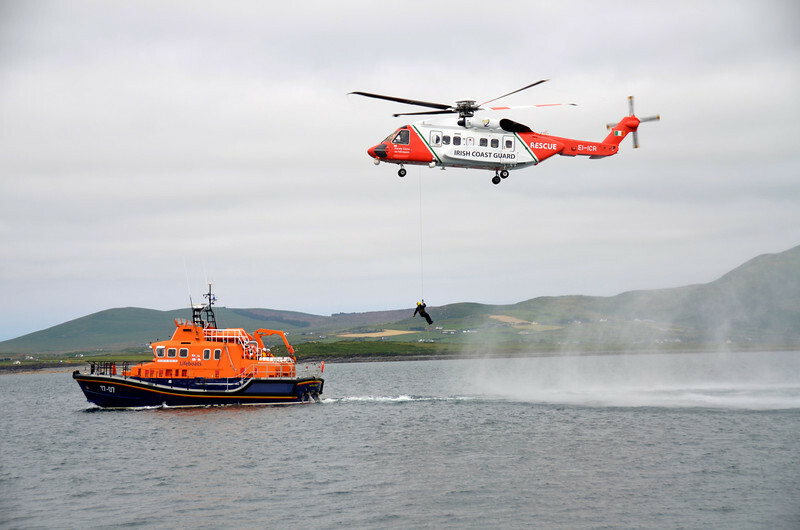 The Valentia based RNLI Lifeboat, "John and Margaret Doig", joined in a public display of skill with an Irish Coastguard helicopter. 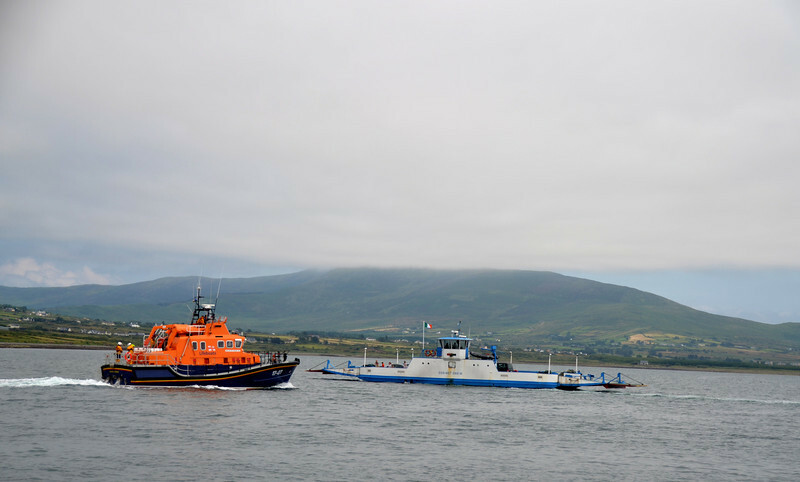 Valentia RNLI Lifeboat with the local ferry that provides service between Valentia Island and Cahersiveen, saviing car users a 48km road journey! 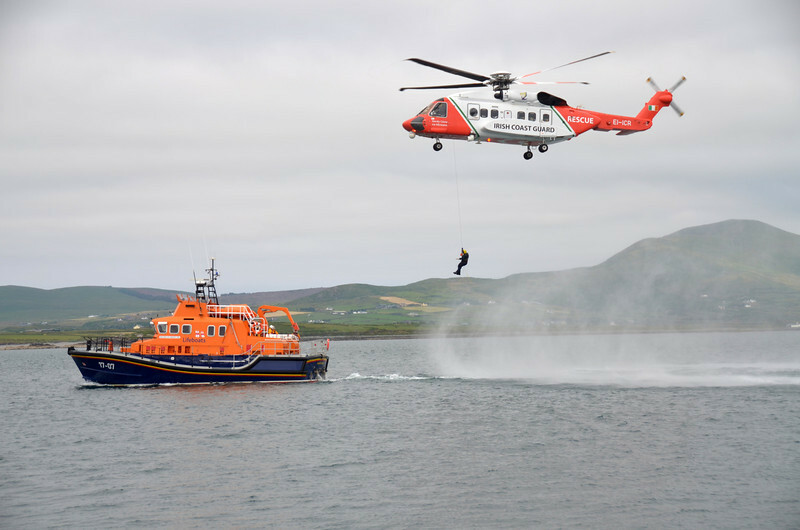 ICR helicopter and RNLI Lifeboat practice co-operation. 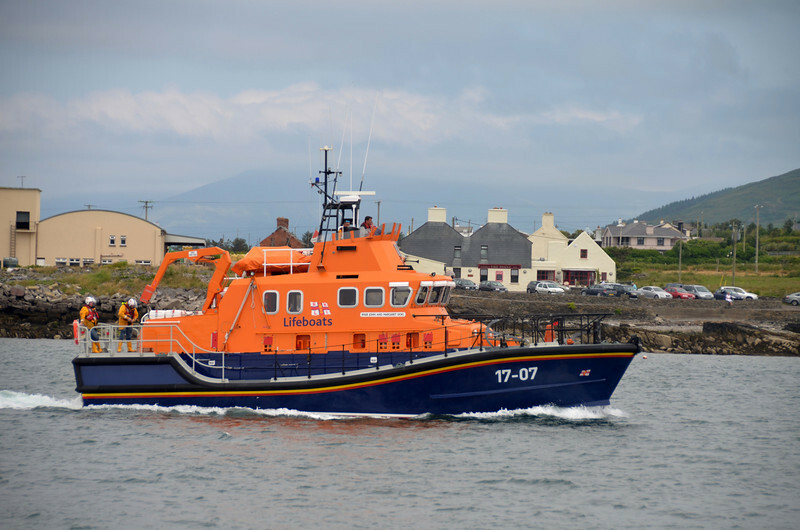 The public watch the demonstration by RNLI and ICR. 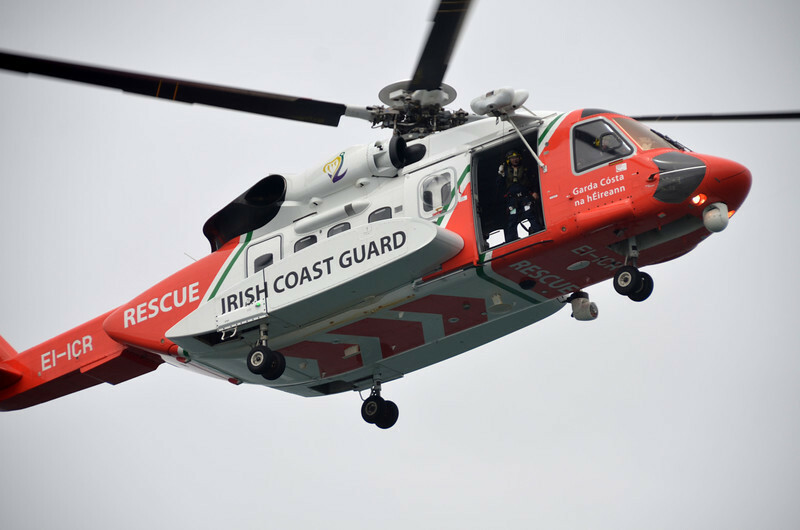 Close-up of the ICR helicopter. 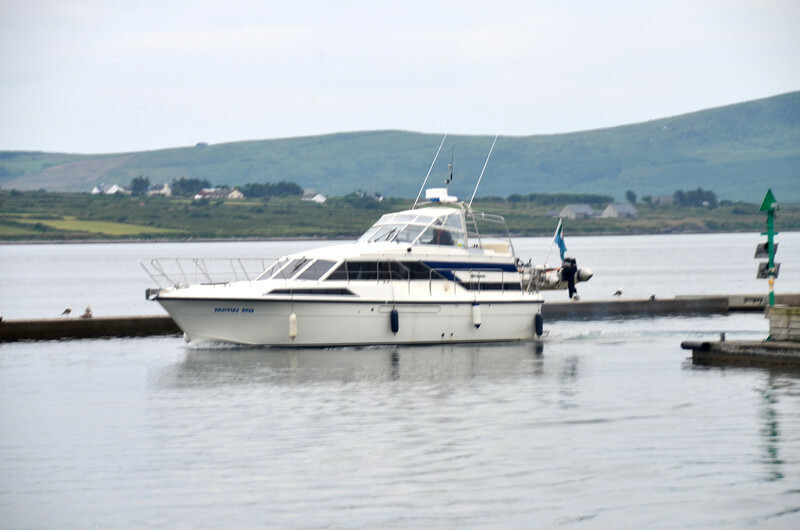 Day 8, Monday, 15th July - It's circa 08.15 and "Arthur" is about to depart Knightstown bound for Lawrence Cove. 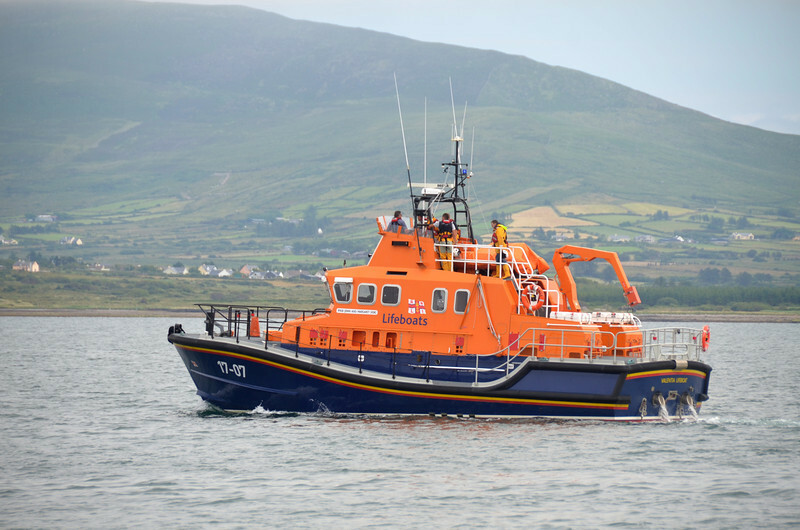 But this time we are travelling 'in company'.... "Pantou Pao" will accompany us as far as Dursey Head before continuing on to Baltimore. And I like the look of the water...much calmer than yesterday! 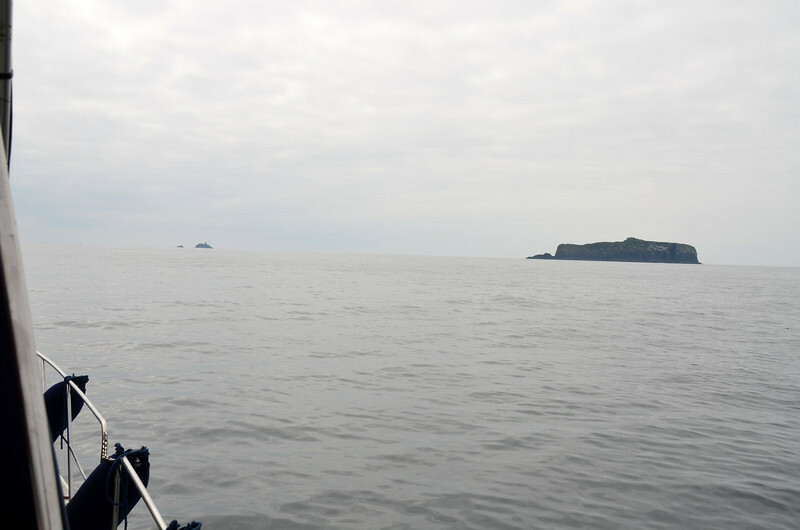 Go back and view the Windguru forecast as at 06.00 hrs on Sunday! On the way! 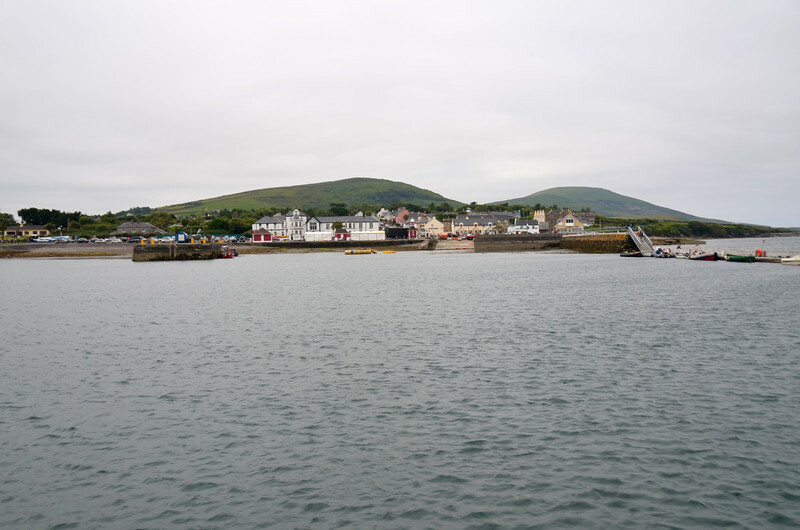 Making our way around the harbour wall as we head out onto Dingle Bay. 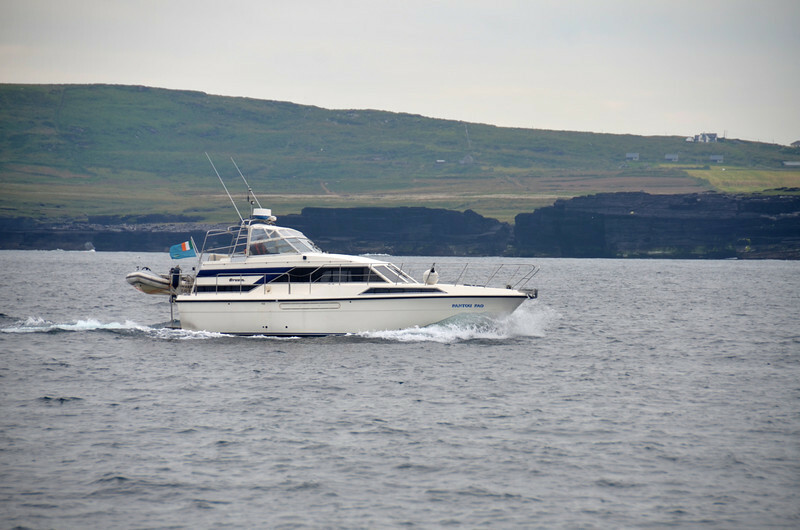 "Pantou Pao" skirting Valentia Island. 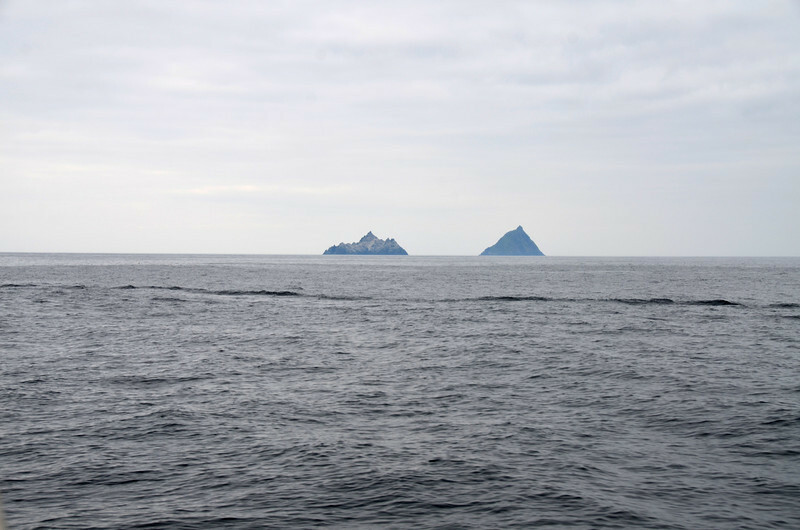 The Skelligs! Some day... when we have a few spare hours. The wake is from "Pantou Pao". 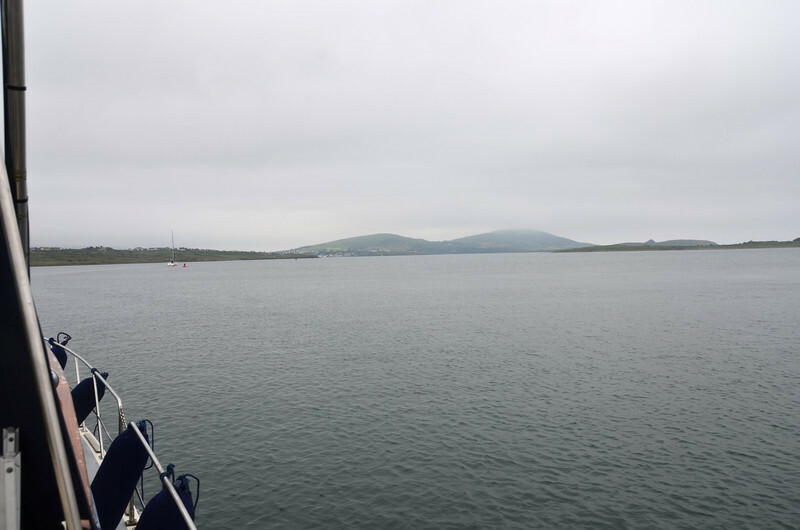 Looking back at Valentia Island. 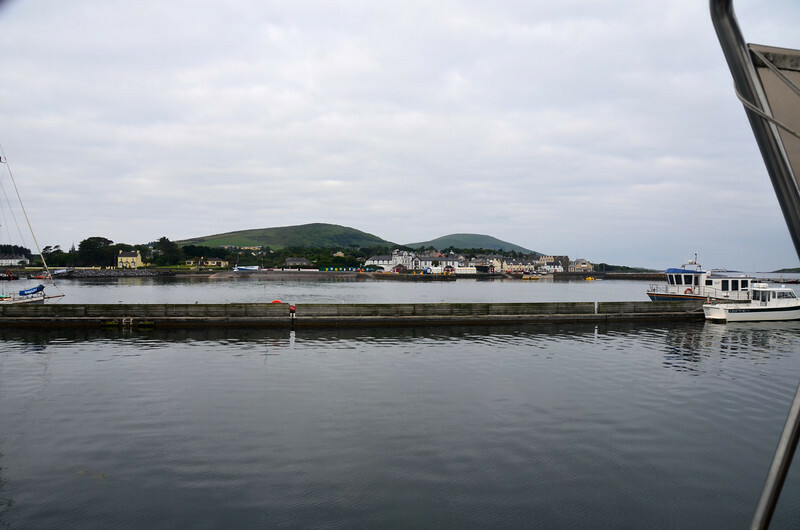 We must investigates the Portmagee Channel option which would save some time and obviate the necessity of passing round Valentia Island. 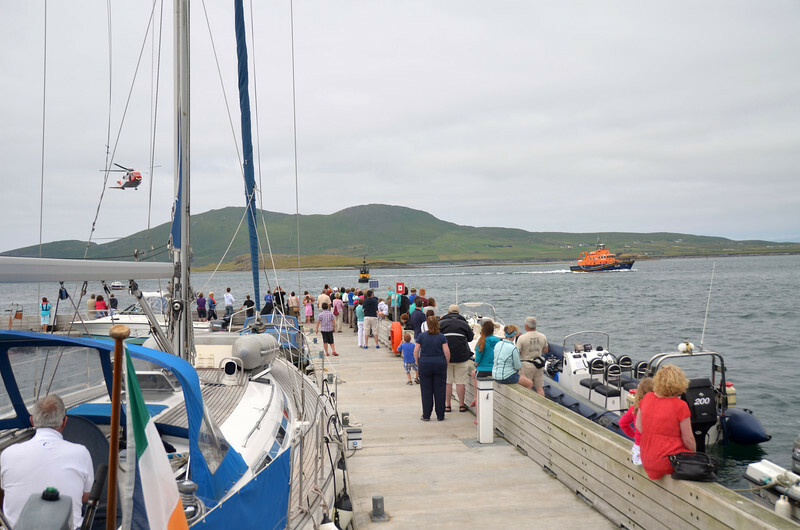 "Pantou Pao" and "Arthur" head towards Dursey Head. 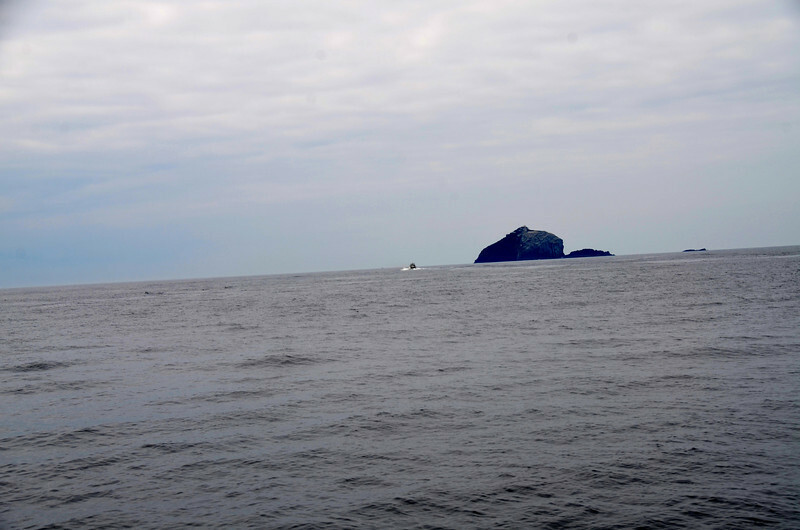 "Pantou Pao" takes her leave and heads in the direction of 'The Bull' the largest of three rocks (islands?) 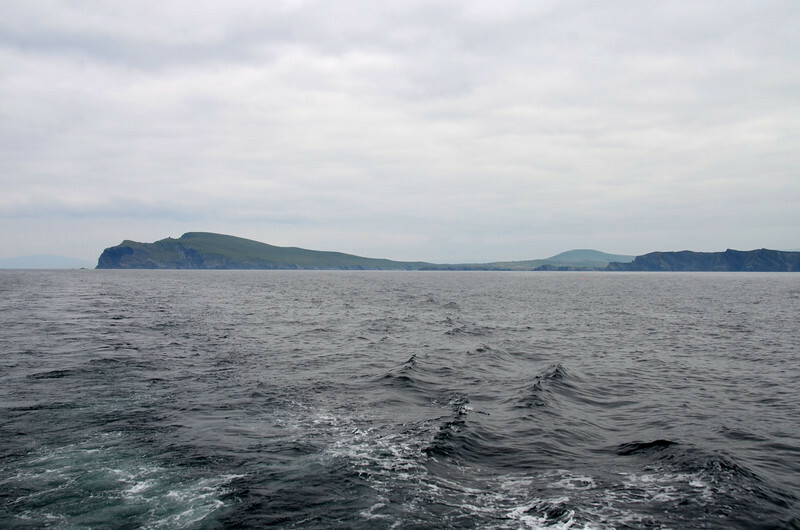 known as the Bull, The Cow, and The Calf which are located just off Dursey Head. The Bull (closest), The Cow, and The Calf.